We have been working on our fine and gross motor skills in Room 8. 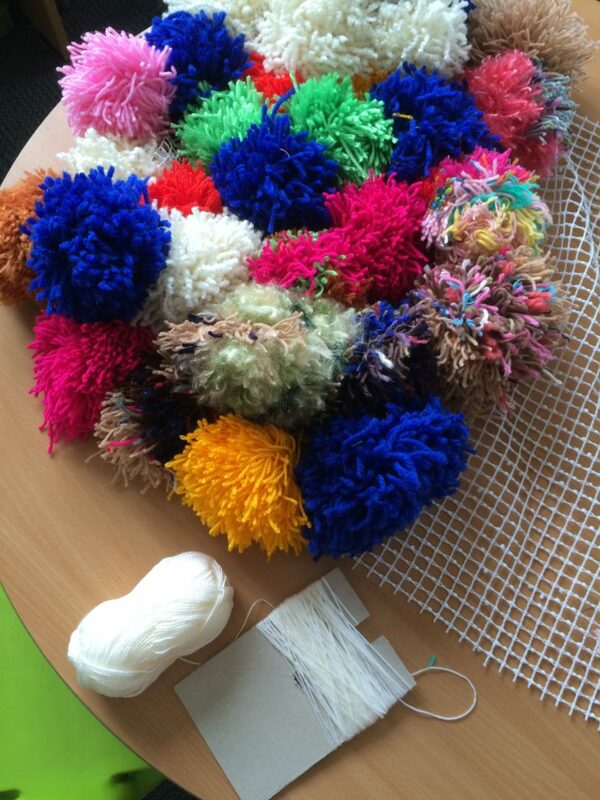 We have set up “Room 8 Repairs” we are upcycling some old stools, recovering an old bench and making a pompom rug . Using chop sticks or tweezers to pick up beads, buttons or lego. 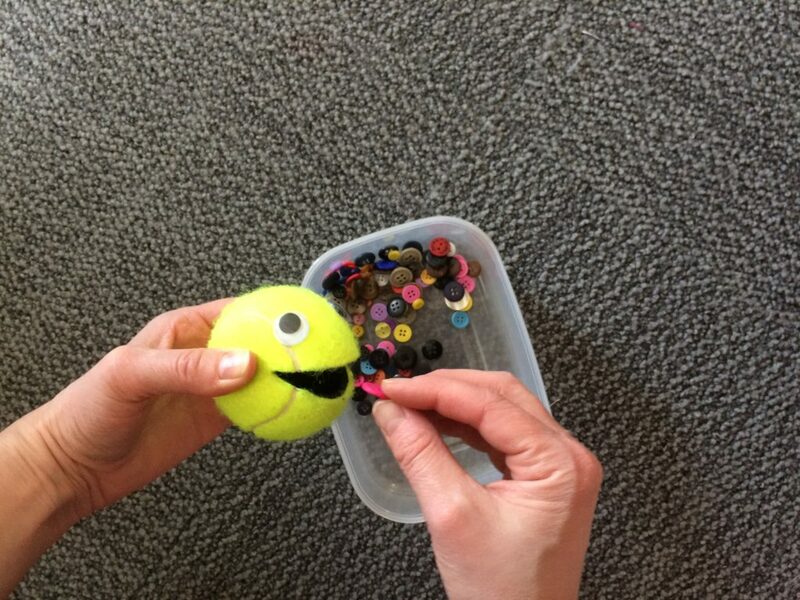 Use an old tennis ball, ask an adult to cut a mouth out for you, add googly eyes and feed him buttons. 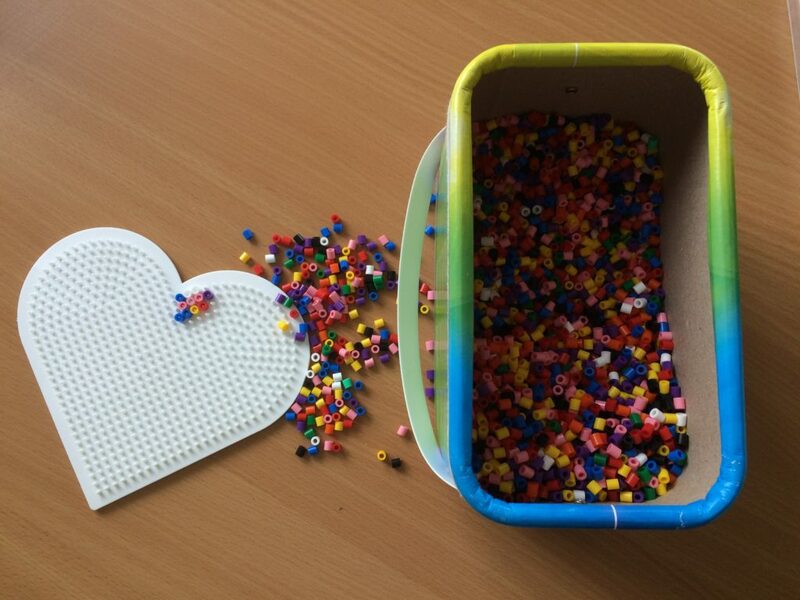 Threading beads or making perler bead creations. Check out our pom pom rug! 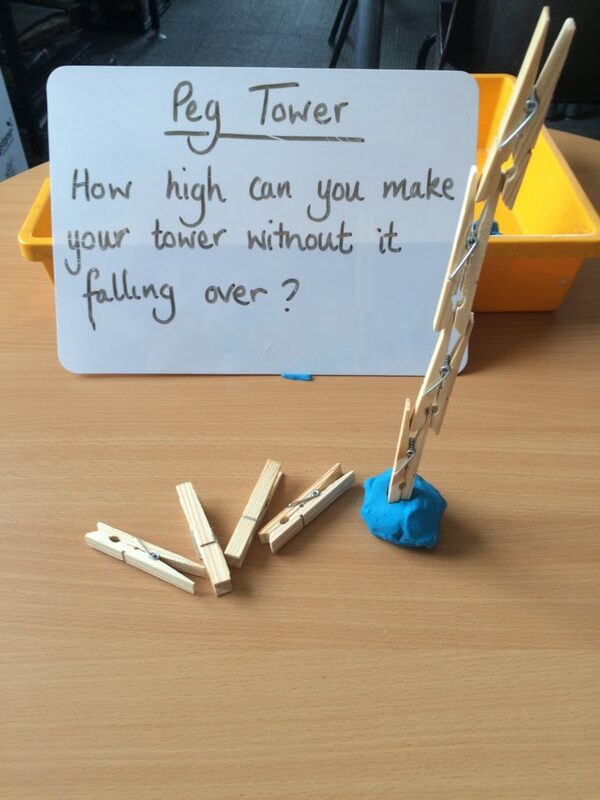 Make a peg tower using washing pegs and sticking them to the table with plasticine. 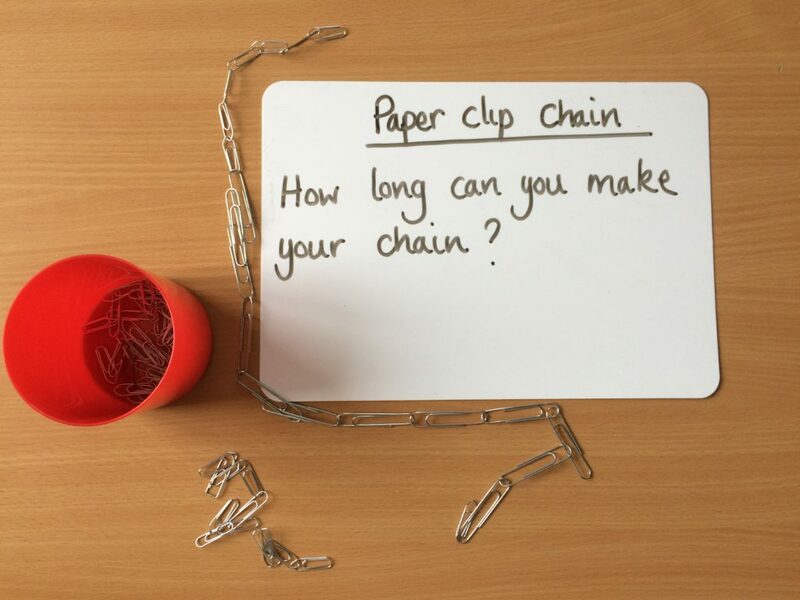 See how long you can make a chain out of paper clips. Why not have a competition with a friend to see who can make the longest chain in 2 minutes. 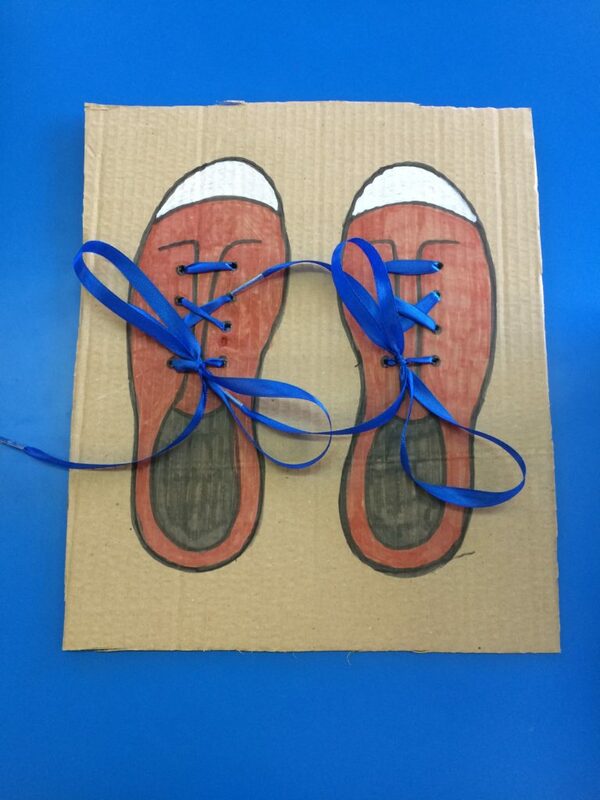 Why not make your own lacing board with cardboard, felt pens and ribbon?